Why Do Women Want to Get Married? How often do you come across the one dreaded question asked by relatives and families like "When will you get married?" And more than that, how often have you felt the pressure to just settle down so that the stress of being single, thanks to the people around you, can be a thing of the past for you? But, despite the pressure women face, they really don’t mind and even want to get married and settle down in life. Do you know why? The answers to this question can be very varied. And here’s a summation of the most plausible reasons women want to get married. You reason may or may not be included in this list, so if not, you can share your reason with us to help illustrate this question better. This pressure starts young, where we are constantly drowned in images of women who are only happy when they are married and have had at least one child. This stereotype continues even today. Look at Hollywood and all the TV series we get to see even today – a woman is seldom shown to be happy when single, until and unless it’s a movie or TV serial that has a central theme of feminism in it. This has already been covered in the beginning, and you’d be lying if you said that absolutely nobody has ever asked you when you’ll get married once you’ve aged beyond 28. Spinsters are often portrayed as anti-social, bitter and cat-loving women who have absolutely nothing better to do in their lives than to be nasty to those around them. Again, a stereotype but it has been so deeply ingrained in our minds that most women dread being single, simply because they do not want to end up as “the crazy cat lady”. In fact, I can even go ahead and safely say that when asked “Why do women want to get married?” a lot of women will give you this very answer, even if in jest. Now since women are told from birth that they have to get married when they grow older, they start preparing for their marriages when still in school. They think of their wedding day as the “most important day of their life”, where they are the centre of the attention, where everybody will be happy for them and where they can show off their beautiful clothes, shoes or even a wide array of bridesmaids. You get the gist. 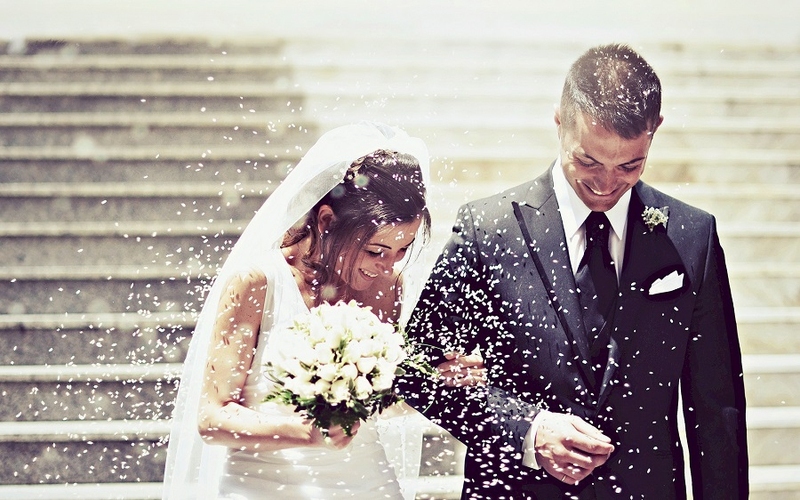 Accept it or not, marriage is still a huge deal today for most people. This is the life span of an average woman – birth, education, college (if lucky), job, marriage, kids, old age and death. For most of them, once they’ve got their degrees and are working at a decently paying job, marriage is simply the next logical step in their life that they have to follow. For many women, the reason behind “Why do women want to get married?” is simple – they’ve experienced everything the single life has to offer and now, they’re willing to settle down. Late nights of partying, drinking and one-night flings sound meaningless to them and now they look forward to something more substantial and permanent in life. Because admit it – calling him your husband carries a lot more weight than calling him your boyfriend. Not to mention the fact that once you’re married, he officially becomes a part of your family. Now this might be a very small thing for some women, but for others, it’s a huge deal. I mean sure, you can go on harping about how archaic marriage is and how you’re happy with your live-in relationship. But the truth is that married couples have 1,138 federal benefits in their favor, as opposed to the zero you have right now with your live-in partner. Sure, you always have legal benefits in your favor when it comes to marriage, but for a lot of women, traditions are important as well, especially if they come from religious families or backgrounds. It’s a rite of passage, so to speak, that must be completed by them, which is why many women look eagerly forward to getting married. Why do women want to get married? Countless number of studies have shown that children who come from homes of single/unwed parents do not perform as well at school as children who come from homes with happy marriages. All you have to do to confirm this is a simple search on Google. Not to mention the fact that having two parents provides a considerable amount of emotional security to children, which of course ensures that they grow up as emotionally stable adults.